Marquee weddings have always been regarded as both prestigious and somewhat exclusive. Over recent years however, affordability and accessibility have transformed the market like never before. Which is precisely why more couples than ever before are making the decision to hire a wedding marquee and plan their celebrations to take place in the great outdoors. But what exactly is it about wedding marquees that can transform an already incredible day into something truly spectacular? Why is it that up and down the United Kingdom, wedding marquees are fast becoming the primary and often theonly choice for those looking to plan the wedding of a lifetime? Well, first of all there is the way in which you practically have the entire country (even the world) at your fingertips when it comes to your choice of location. More often than not, any exterior space and almost any kind of terrain whatsoever can be used for a marquee wedding. A large garden in the country, a secluded space in the middle of nowhere or even a beautiful beach – the choices are quite literally endless. 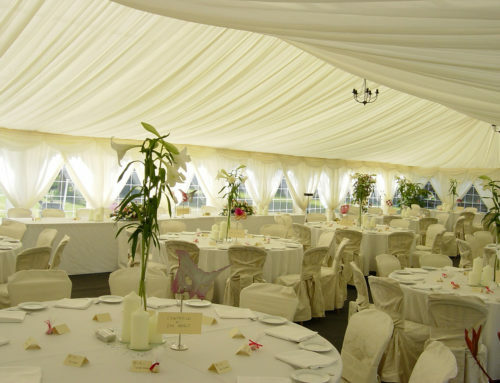 With a marquee wedding, you also get total control over the size and layout of the venue, as opposed to being restricted to what is already available by way of standard indoor venues. You essentially get to craft every element of your perfect wedding party from the ground up. 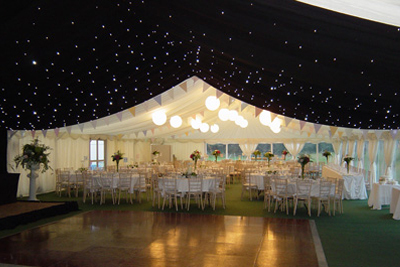 Another unique benefit is the way in which marquee weddings give you something of a blank canvas with which to work, in terms of both interior and exterior styling alike. 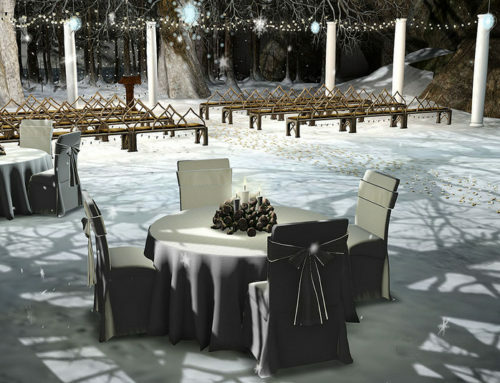 From lighting to furniture to fixtures to floorings to every single decorative element inside and out, there’s almost nothing you cannot do to make your marquee wedding 100% unique, 100% your own. Depending on the location you choose for your marquee wedding, you may benefit from few or perhaps no restrictions whatsoever when it comes to curfews, noise and so on. If you want your entertainment to continue throughout the night, you can do exactly that. Quite often when you select an indoor venue, you have no choice but to use its in-house catering team and services, along with their own limited menu options. With a marquee wedding, you are free to bring in anyone and anything you choose. There’s really no denying the fact that a marquee wedding during the warmer months of the year under a beautiful blue sky is exponentially more enchanting and enjoyable than any indoor reception. Once again, select an exquisite venue and the whole thing instantly becomes an event of pure magic. Last but not least, marquee weddings have the potential to be considerably more cost-effective than comparable indoor events. Given the fact that you are able to take control of every element from start to finish, you can ensure that the event is planned strictly in accordance with your available budget.